We bring you back the traditional Cuban and Latin music in the old-fashioned way; warm sounds and songs deep inside the “Cuban Güajiro Roots” and "Los Panchos", offering an exquisite approach to these styles. A Guitar, a Cuban Tres, Shakers, and Voices that blend harmonies, colors and places the listener in an imaginary journey to the Sierra Maestra mountains, in Oriente, places where the Son Montuno y la Guaracha were born. Also, their repertoire includes romantic songs from Los Panchos. Julio Jaramillo, etc. 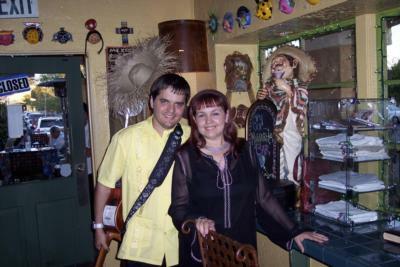 Songs composed by Matamoros, Ñico Saquito, Joseíto Fernández, Consuelo Velazquez, are among their repertoire. The famous vocal duo Rosell y Cary (top list singers in Cuba back in the 70's and 80's), are part of the formation, while their son Yalil Guerra, plays the Cuban Tres and their daughter Yamila Guerra, performs boleros and dancing songs. The Quartet toured countries such as Spain, France, Germany, Switzerland, Russia, Martinique, Guadaloupe and the US. Cuban Trio was amazing! They arrived punctually and played all our Cuban favorites. Yalil is a gifted guitarist and, together with his father on guitar and his mother on marracas, the trio blended their voices beautifully. I would hire them again for another event. I can't say enough about the quality of their performance - definetly worth the money. Yalil and his parents, The Cuban Trio were are perfect complement to my mother's birthday party. The minute they started, my mom grabbed my dad's hand, and off they were to dance together. They were the highlight of my mom's celebration. They are professional, gracious and very talented. I look forward to booking them again. 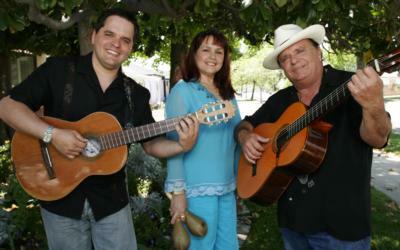 It was a pleassure have the cuban trio in my event,and I will invitethem to go with me to Colorado for a tour. Thank you for the great time and a very proffesional performance. Ben. Great band to work with. Authentic Cuban sound. Really nice people, very accommodating. A few times it was a bit difficult to get answers to our specific questions, perhaps language was a barrier, but overall we were very satisfied and would recommend this group. Very professional and authentic Cuban musicians. I kept getting compliments in regards to their performance. Working with the Cuban Trio was such a pleasure! My husband and I hired them for our wedding and our guests absolutely loved them! Yalil was very professional from the start. He met with us before the wedding and even played some songs for us so we felt completely sure about hiring them. Him and his family are very kind and extremely talented individuals. I would highly recommend them to anyone. Please note Cuban Latin Quartet Rosell, Cary, Yamila & Yalil will also travel to Glendale, North Hollywood, Sun Valley, Toluca Lake, Universal City, Los Angeles, Pasadena, Studio City, Sunland, Tujunga, Valley Village, La Crescenta, Montrose, Van Nuys, Verdugo City, Hollywood, Pacoima, Sherman Oaks, Beverly Hills, Arleta, La Canada, Panorama City, North Hills, San Fernando, Mission Hills, Sylmar, Altadena, Encino, Northridge, Granada Hills.